This week on The Bugcast: we discuss some of the television offerings of the New Year, plus 8 amazing tracks of Creative Commons music! The next live show will be episode 444, which will be broadcast live in the chatroom on Friday 13 January 2017 at 21:30-ish UK time (GMT/UTC). 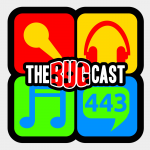 the bugcast 443 - Oh brothel!